Street style is all well and good, but photographing your outfit in your own home? It just adds another layer of personality. 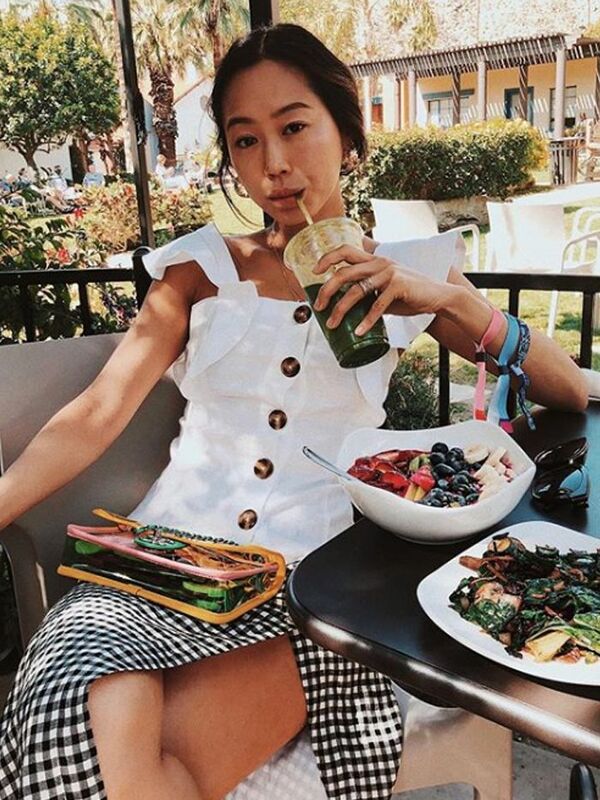 Which may explain why in a highly saturated fashion-blogger market, many of our favourite girls now pepper their inspirational and aspirational sites and social feeds with candid shots of their home interiors. After all, being stylish isn't a one-way shopping street—your home is a perfect canvas for extending your creativity, and we know many girls who have as much enthusiasm these days for plotting the décor of a living room as they do for planning their new-season outfit hit-list. So is the #homefie the new #selfie? Many design brands now span both genres—House of Hackney is the one of our top examples, but you'll often find designers employing the tactile benefits of genuine upholstery fabrics or labels eschewing the traditional white backdrop studio idea for something altogether more intimate, like a kooky location for a lookbook shoot. Fashion bloggers are also expanding their horizons, adding interiors sections to their existing offering online. 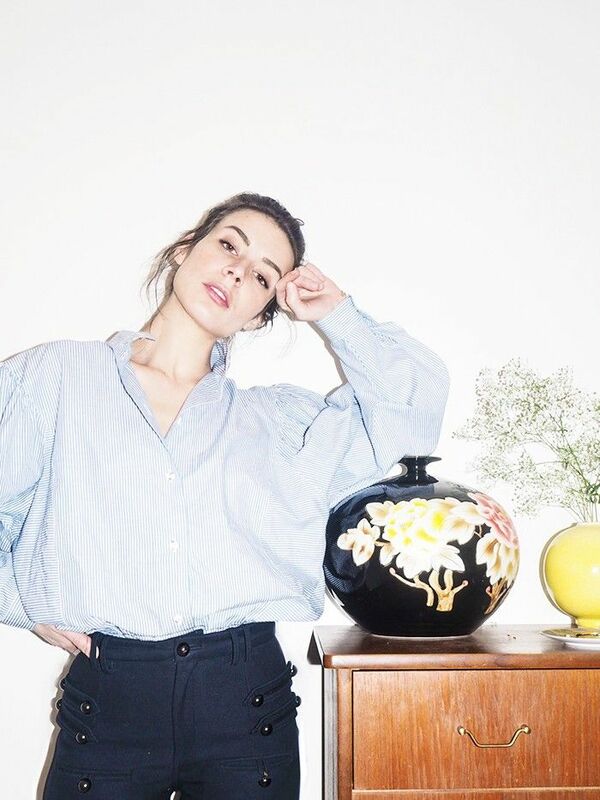 And let's not forget we shall forever be obsessed with peeking into the homes of fashion's most stylish thanks to sites like The Coveteur or The Selby. So it seems only natural to nosy parkers like us (and you?) that sartorial moments of this ilk shouldn't be restricted to outdoors only—especially when considering the, shall we say challenging, weather in Britain. Vintage rugs + vintage-look jeans = a good idea. We wouldn't expect Camille to have anything less than perfect photography framed in her pad. Pot plants and velvet seating are key, as are sunglasses indoors, darlings. What did we tell you about velvet sofas already? You know what they say about big sleeves… big, erm, vases? 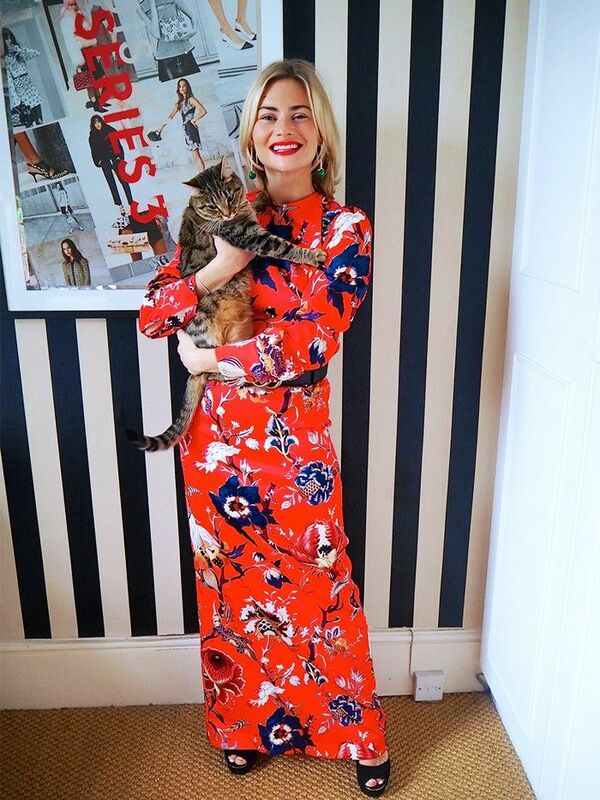 Wallpaper makes for a perfect print-clash situation—along with a tabby cat, of course. 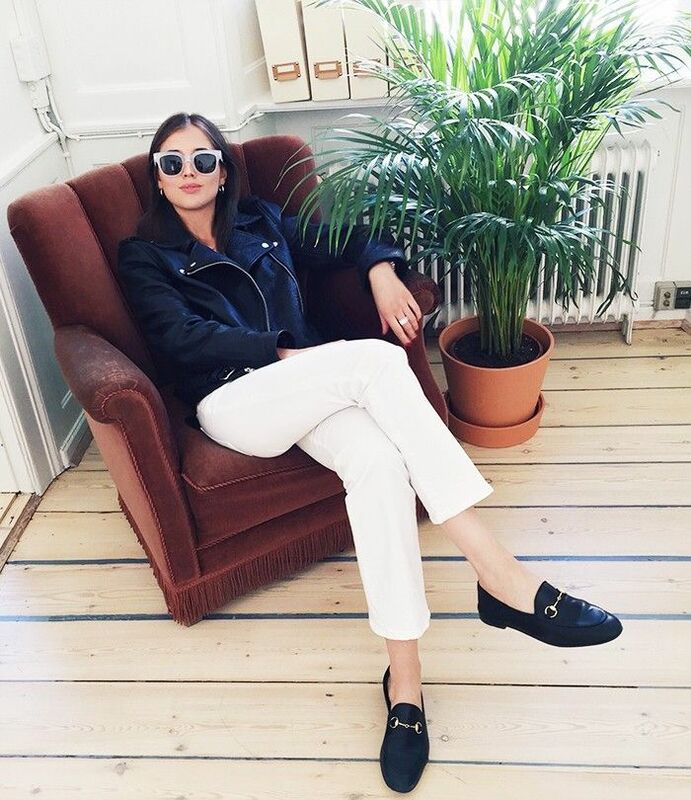 Do all Danish bloggers have bright-white homes to match their bright-white clothes? Tell us your home décor plans in the comments box below. Does your fashion style match your house?